Whether you are suffering with foot pain, calluses, corns or your feet need routine maintenance or a spruce up for summer, you can get the treatments you need here from our professional practitioners. Our radiosurgery expert, Cathy, provides the surgical removal of verrucae and ingrowing toenails, while our other experts, Suzanne and Rikki, specialise in biomechanical problems and sports injuries. Circularity Assessment; Poor circulation within your feet can result in numerous issues relating to age, lifestyle choices and underlying medical issues. If you are having concerns regarding your circulation, this can be assessed using our Doppler ultrasound. As a painless, non-invasive test, the test is similar to that pregnant women have in ultrasound format, and can be carried out simply as part of normal podiatry treatments. Nerve Assessments;Diabetes and other underlying conditions can have an effect on your nerves in your feet. Another painless test will let us see any nerve damage and prevent it further. Foot Function Assessment; If your foot problem has an underlying reason relating to your foot structure and function, we will examine the cause. Biomechanical instability, personal injuries and degenerative changes can all result in painful foot conditions. 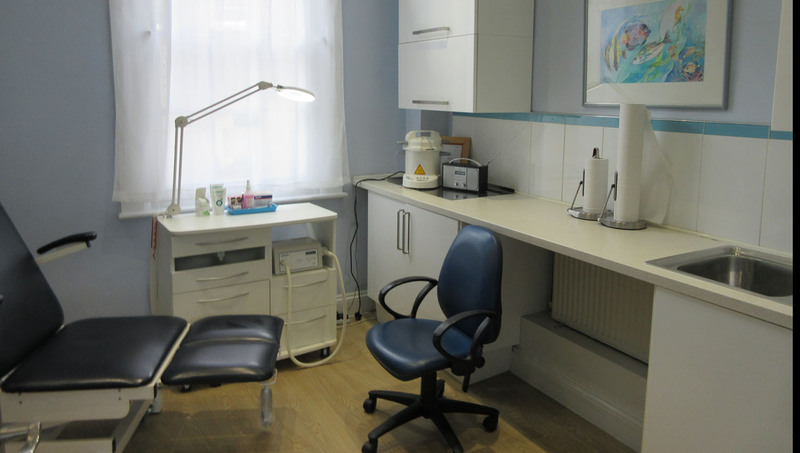 We also carry out an assessment of your skin and nails, looking for callouses, fungal infections, verrucae, corns, bacterial infections, malignant melanoma, foreign objects and hyperhidrosis. We check all feet even if you are only attending for a routine nail and skin care. Requiring nothing more than the trained eyes of our practitioners the foot function assessment is not invasive or painful and can point out early stages of diseases. The commonist reasons for our patients to attend for an appointment are painful or thickened toenails and painful or unsightly corns and callus. All of these are easily dealt within a routine appointment. Medical pedicure is a relatively new term, for a long standing treatment! Chiropody isn’t just for problem feet. Thickened cracked skin, damaged toe nails and rough heels can also be transformed with a medical pedicure. Whether part of your routine maintenance or as a one-off special occasion, your feet will look and feel better, just book a regular half hour routine appointment and we will do the rest. 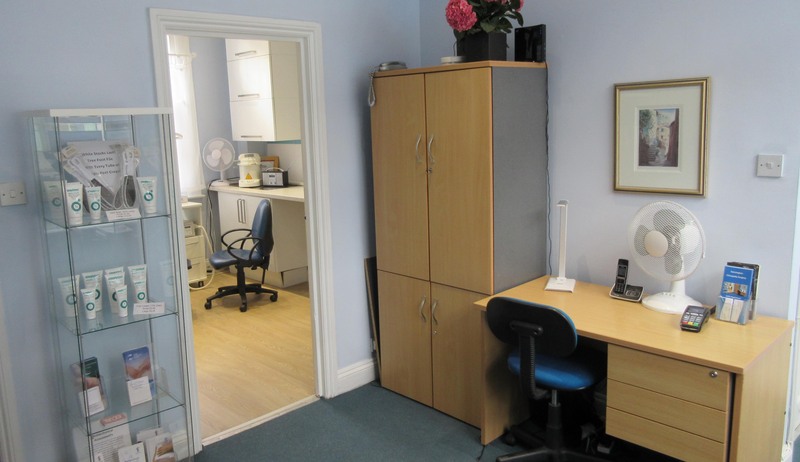 We always recommend that all clients come to our surgery for a consultation but if you are struggling to get to us, we can come to you. Home visit treatment fees are based on our regular clinic fee, plus travelling time. As nobody is biomechanically perfect or even accurately symmetrical we all have minor differences between both our left and right side. This imbalance can often lead to instabilities which are encouraged through bad habits, leading to pain and injury. The biomechanical assessment is personalised to all patients depending on their current injury or concern and involves a thorough history. This is then followed by an assessment (non-weight bearing and weight bearing) of all lower limb structures and functioning ability to look for excessive tissues stresses and ways to prevent further damage. Treatment can often include footwear evaluation, strengthening muscles through exercise and the provision of foot orthoses.